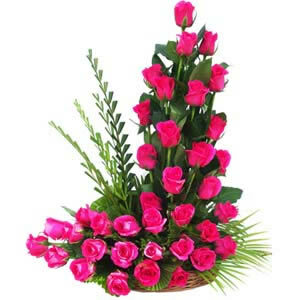 Increase the fervor of celebration with a huge and splendid 50 pink roses basket. 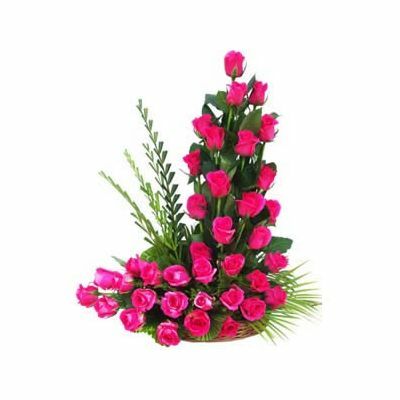 The intricately designed flowers bouquet along with leaves and fillers can create the best appeal among different floral arrangements. Send flowers basket magnificently prepared by florist to your closed ones through flower home delivery service. If you are out of town, its best to use our flower midnight delivery or flower same day delivery to look into your requirements.